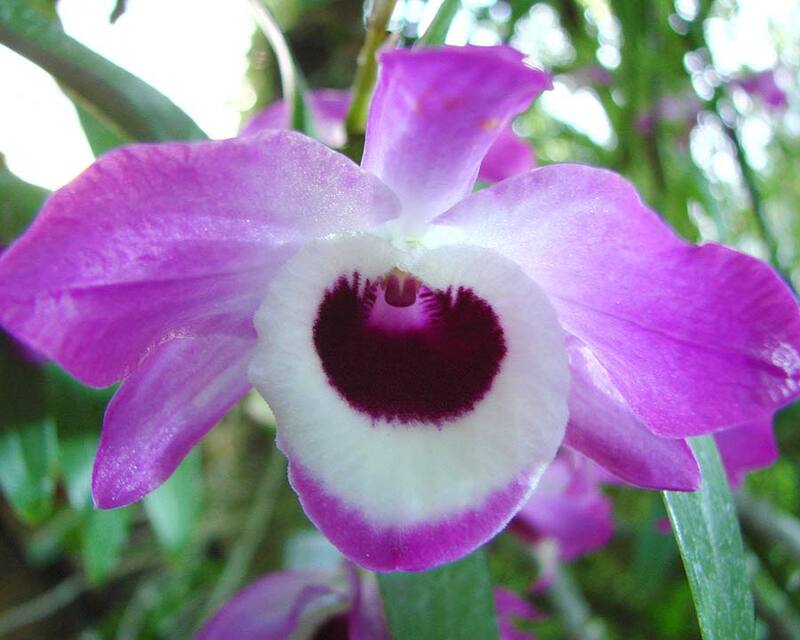 Dendrobium nobile is an epiphytic (lives on other plants) or lithophytic (lives on rocks) member of the orchid family that has become one of the most popular houseplants due to its spectacular blooms and ease of growing. It has long, strap shaped leaves and produces soft cane-like stems around 30-40cms long which carry pale pink flowers with deep gold and maroon markings. Flowers are borne in racemes of 2 - 4 blooms all along the stems and are waxy and wonderfully fragrant. Being a sympodial orchid it produces little offsets alongside the mother plant when that nears the end of its natural life. They like light but only about 50% direct light throughout the day maximum. Filtered light is best. In winter they do better indoors, but ensure they get maximum light possible without direct, burning sunshine. Soil: A specially formulated, coarse orchid mix that is well drained. Maintenance: Liquid feed in summer, maintain good levels of humidity in summer but only water when it is in flower. Diseases: Mites, slugs and snails. Comments: This is the parent of many gorgeous hybrids.